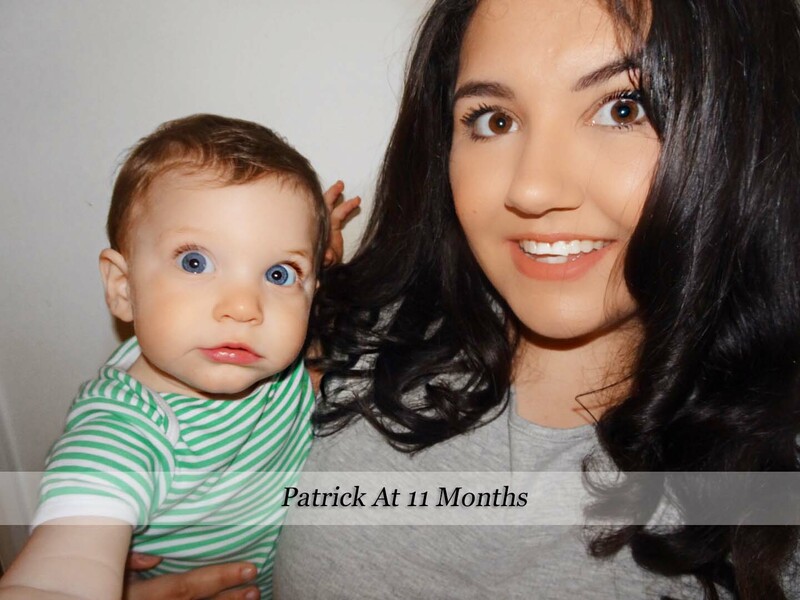 You're eleven month old update was one I have been incredibly nervous about writing, not so much now but over the last month. I've worked throughout the entirety of your tenth month, meaning only evenings, weekends and Mondays are ours to share and honestly, I wondered if I'd have anything to write - perhaps I would have missed any important milestones you would be hitting and not really know what you have been up to as such, maybe I wouldn't have noticed if you're saying a new word until a couple of weeks after you first spoke it? Or what if you got a new tooth and I wasn't the first to see it? I couldn't have been more wrong, I don't feel as though I have missed one thing, nor do I feel that I know you any less. Each hour, day and month our bond just grows and I can't quite believe your next update will be at a year old my son. I'm slowly seeing the transition now from baby to boy, yes that sounds silly because you've always been a boy, but, you wont always be a baby and I'm seeing you lose more of that with each waking day. It's both sad and exciting, I adore watching you grow, but looking back on your earlier days is bittersweet, of course I miss them. You've come so far this month, more of that feisty personality is peering through and we are all getting a good idea of what kind of toddler you'll shape out to be - god help us. You know what you want, you're determined and if I'm honest, you can be pretty stroppy. You get overtired so easily and if we try to keep you quiet with a soother you are having absolutely none of it, quite knowingly slapping your hands towards your mouth till it falls back out. That being said, sleep is probably the best it's ever been, you're down at seven and we see you again when it's time to get up - though when that time comes, you want to be picked up immediately, you're not so content keeping yourself occupied for a little while like your brother used to be. Speaking of that brother you missed him like crazy last month, he went off with Nanna and Gangan for a week to Spain and you felt a little lost, you were restless and that made us realise even more so just how close you two are. Noah was delighted that you've finally learnt to say his name, it can vary from actually saying Noah to 'rowah' which is just as adorable, you've also added Nanna to your vocab list and it's safe to say you're more than advanced in the speaking department as I don't remember Noah quite saying so many words yet. Still, to my dismay, Daddy is your favourite word to yell, scream and squeal, but you know when you are really feeling sad or tired 'Mama' is the chosen call for you. We're waving goodbye to the blender now as you can easily manage the meals we eat just chopped up small, it means we have no use for any pre-made pouches for on-the-go as finding you food on our travels isn't an issue. You're first holiday has just happened and you were nothing short of a dream on both the departing and returning flight, falling asleep on take off as we clung tightly to each other and peered out of the window. I made sure I took as many photos as possible so we can treasure them as your first time abroad. A few other new things you've learned this month, sticking your tongue out, particularly in response to us gesturing it to you and of course, finally, clapping your hands something I've been really trying with you for a good couple of weeks now. I'm quite sad that your next update will be your last until you are one and half as I adore writing these and reflecting over our last month together. Aww what a lovely update, you both look so happy too, what a fab photo to look back on! IS BLOGGING OVER NOW I'M BACK AT WORK?